Sweden’s leading optical chain, Synsam, opens its flagship store today on Norrmalmstorg in central Stockholm. 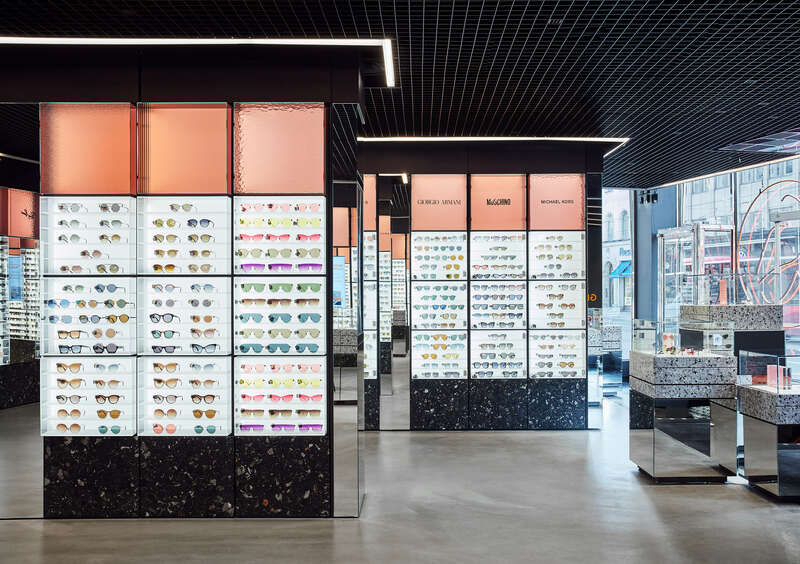 Studio Stockholm has transformed the 700 square-metre premises, previously occupied by McDonalds, into Europe’s largest eyewear store. “Together with the Studio Stockholm architecture firm we have taken the Synsam concept a design level further through this flagship store that offers customers Eye Health and Eye Fashion under one roof. Our opticians have in-depth knowledge of eye health and our style experts have a unique feel for our handpicked range of the world’s leading brands. It is important for us to satisfy the consumer‘s needs, adapted to each and everyone’s lifestyle,” concludes Marina Kereklidou, Creative Director at Synsam.